These are the principles that Dale's Auto Inc was founded on in 1993. Our goal is to provide quality service at an affordable price. While the company has grown over time, these principles have remained the same. Dales Auto Inc is a long-time local based family business, serving the Metro Detroit area for more than 24 years! We detail all cars, even classics and boats! We will help find the right car for you at the right price! Dale's Auto Inc. is a family owned business. It is the best auto detailing facility for high-quality and professional work. We here at Dale's Auto Inc greet customers with a smile and provide excellent customer service for the Macomb County area. If you're looking for experience look no further, Dale and his team have a combined experience of over 37 years in the detailing business. Our team is just as passionate about your automobile as you are. We not only detail automobiles, we detail everything from motorcycles to semi trucks to boats! Besides detailing your car to look like new, we also sell used cars! At Dale's Auto you're not just buying a car, you're buying a service. 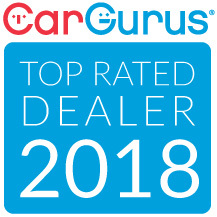 There's a reason why we were named Car Gurus Top Rated Dealer of 2018! We can help you find the right car at a price that is affordable for you. You can call or email us today to set up an appointment for detailing. Let us help you make your vehicle look like new.